These protocols are a standard of behaviours that are requested by Noongar Boodjar Waangkiny to show respect to Noongar communities, culture and the people. It determines how we work with community, organisations and individuals. Noongar Boodjar Waangkiny requests users to abide by the following protocols. Noongar Language protocols determine how we work with community, organisations and other groups. Protocols determine how we consult with individuals and how linguists and language workers are to consult with community groups. An Elder of a clan is usually the first point of contact in regards to consultation in a language area. In some cases if there is not an Elder then the most prominent organisation in that area would be the next step. The Noongar nation is the largest Aboriginal language group in Australia made up of 15 clans with three existing dialects, the Northern, Eastern and Great Southern.  The following protocols are to assist and language and culture worker to give recognition and acknowledgement to the Noongar people in the south-west with respect to their Culture, Language and Country. This will enable us to engage, access information and work with our Noongar country in an appropriate manner. Noongar Boodjar Waangkiny values our land and its Dreamings and the deep spirituality that connects us to our Ancestral heritage. The website showcases our Noongar people and their stories that are significant to Noongar country. Through our work, documentation and language we hope to provide the opportunity for all to have a better understanding of the Noongar Culture, language and its people. Noongar knowledge is highly valued and can be owned by an individual or communally owned in accordance with traditional law. Traditional knowledge recorded by this project may include songs, oral stories, traditions, customs, and specialised knowledge. Consultation is an important practice that determines our ability to work with individuals and community language groups. Usually Elders are the first point of call and if there is no Elder, a prominent organisation can assist in providing appropriate key persons to represent that clan or family group.